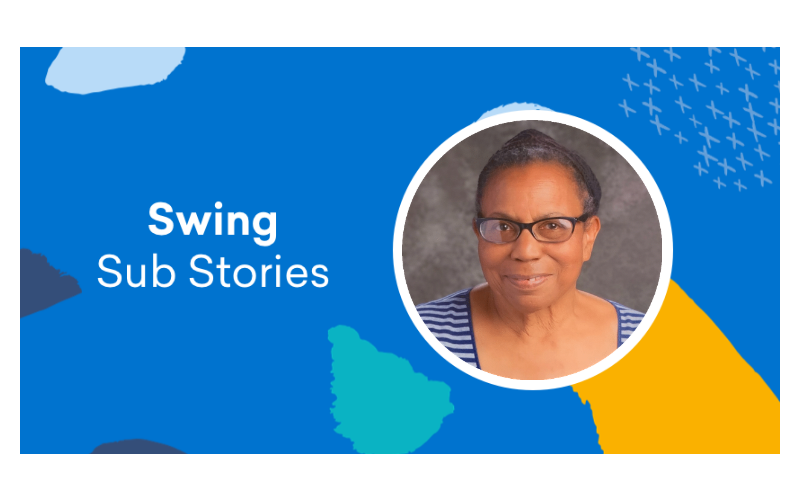 From her early years as a student in Pennsylvania and Florida to her current role as a substitute teacher with Swing Education, Mamie Dinani has spent the majority of her life in and around education. Mamie, who retired as a full-time teacher in 2005, grew up in a family of educators — her mother and uncle were teachers, her aunt an assistant principal. And for the last four decades, she’s taught in the United States and in Zimbabwe, from elementary through adult education. 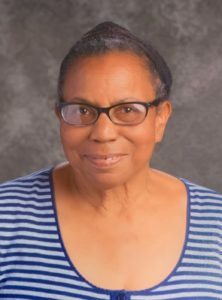 Mamie has been a full-time teacher for Rowland Unified in Southern California and a substitute for Torrance Unified in Southern California, Chico Unified in Northern California, and Swing. After moving to Northern California in the fall of 2016 to be closer to her daughter, Mamie was running some errands when she drove past Making Waves Academy, a charter school near Oakland. She decided to poke her head in, and ended up chatting with the school’s substitute teacher coordinator. 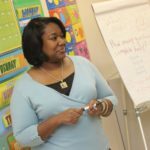 To her surprise, Mamie learned that like a growing number of schools, Making Waves did not directly employ substitute teachers. 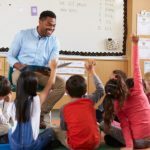 Instead, it partnered with Swing Education, which easily connects schools and subs via an online platform. That caught Mamie’s attention. She signed up with Swing and started subbing in local schools a few short weeks later. Over her two-plus years with Swing, she’s made a difference for thousands of area students at dozens of area schools. Shortly after starting with Swing, in 2016, Mamie took a long-scheduled trip to Zimbabwe. Because Swing substitute teachers set their own schedules (and there’s no minimum or maximum commitment required), there were no issues with her time away, and she picked up right where she left off upon her return. Mamie also appreciates Swing’s request notification system. 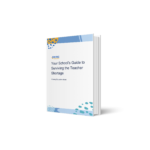 As opposed to her previous substitute teaching positions, which made assignments available only over the phone, Swing notifies teachers via text message and an online platform. Above all, though, Mamie appreciates that she’s able to supplement her retirement income doing something that she loves — sharing her passion for learning with a wide range of students.